Dear Author is one of my favored places for finding new-to-me good reads. They write interesting opinion pieces, too, and the above is one of those. And I just want to say — while of course I appreciate positive reviews, I appreciate honesty in reviewing even more. So, just in case anyone out there didn’t realize it, I will not react badly to a negative review. At least not to anyone but the cats. 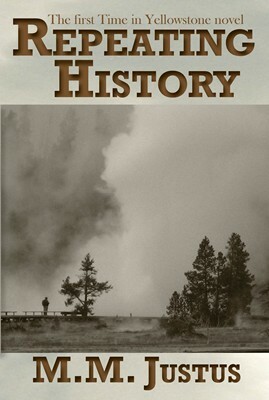 Repeating History, the first Time in Yellowstone novel, is being featured Monday, December 16th at The Fussy Librarian, a new website that offers personalized ebook recommendations, in the historical fiction category. You can read the first chapter here for free. In honor of that listing, I have dropped the price of Repeating History‘s e-version from $5.99 to $2.99 for the week starting tomorrow Saturday the 14th, to run till the 21st, at Amazon and Smashwords. I’m really excited about being part of this service. I hope you’ll find many interesting books there. I’ve already found a few myself.